Let me share with you what I (Cherry) used recently ; Lunasol Pencil Eyeliner N from Lunasol Party Coffret 2013. This eyeliner pencil easily draws a smooth, even line. 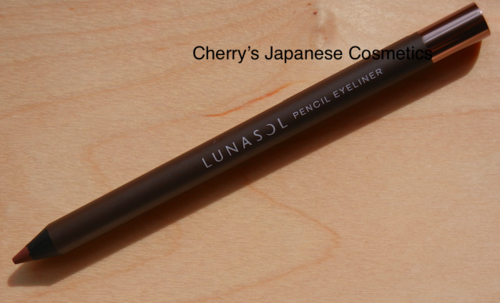 Compared to the THREE Flash Performance eyeliner pencil, which I find to be too soft, the consistency of this Lunasol eyeliner pencil has the right amount of firmness. In this photo, I softened (smudged) the line using the other end of the pencil. Unlike the THREE Flash Performance Eyeliner Pencil or ADDICTION Eyeliner pencil, this eyeliner pencil does not have a soft tip for smudging. I recommend using a smudging tip of another pencil to blend this eyeliner. This lovely brown color has little to no glitter. 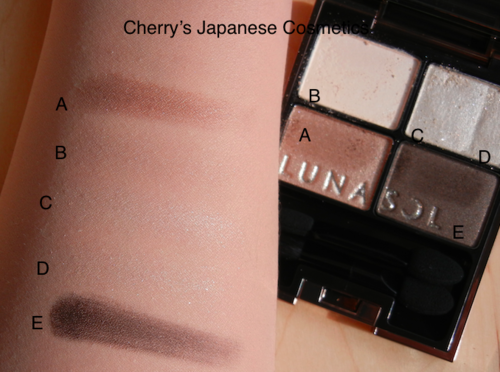 This photo shows the with the Party Eyes 2013 with the Lunasol Pencil Eyeliner N. Each of the four colors in the eyeshadow quad compliment the pencil’s color. Also, this product is waterproof, which is important to me. I like this product very much. There is a rumor that Lunasol will be introducing this eyeliner pencil formula with glitter or shimmer in the color. 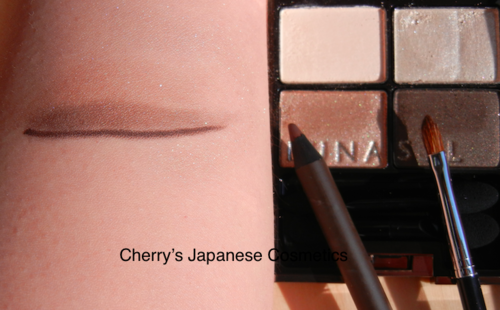 It may be available for the Spring/Summer 2014 release, and that product is Lunasol Shinny Pencil Eyeliner. I no longer have the Lunasol eyeliner. 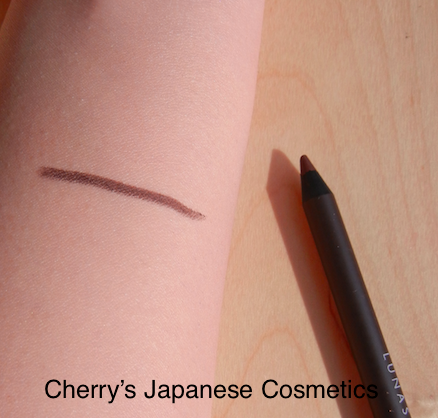 Currently, I am using THREE’s pencil and Suqqu’s creamy eyeliner, both in a brown color. My good friend, Y, is wearing the Lunasol eyeliner pencil. She is working at a national section and wants a professional look for the office. 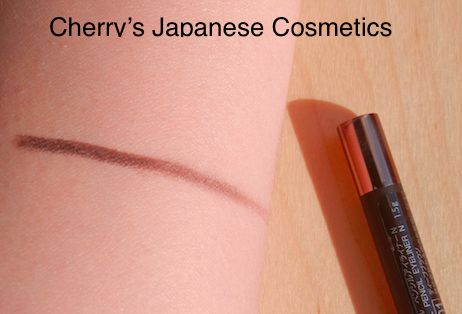 This eyeliner is perfect for her because it’s waterproof, has no glitter, and is a elegant shade of brown. And see how beautiful beige-brown gradation of Lunasol Party Eyes 2013! Are you interested in this product? Please visit Lunasol Shinny Pencil Eyeliner. Unfortunately, all of Lunasol’s Party Coffret 2013 have been sold. Next summer a new Lunasol Kit will be available and during our pre-order period you can order here; “Limited & Seasonal“. And when Lunasol officially announce about this product, we will update to have your order.